Ringo Daniel Funes - (Protege of Andy Warhol's Apprentice - Steve Kaufman), "Marilyn, Bogart, and Bacall" Framed One-of-a-Kind Mixed Media Painting on Canvas, Hand Signed with COA. $1,250.00 $1,000.00 Only 1 Left! 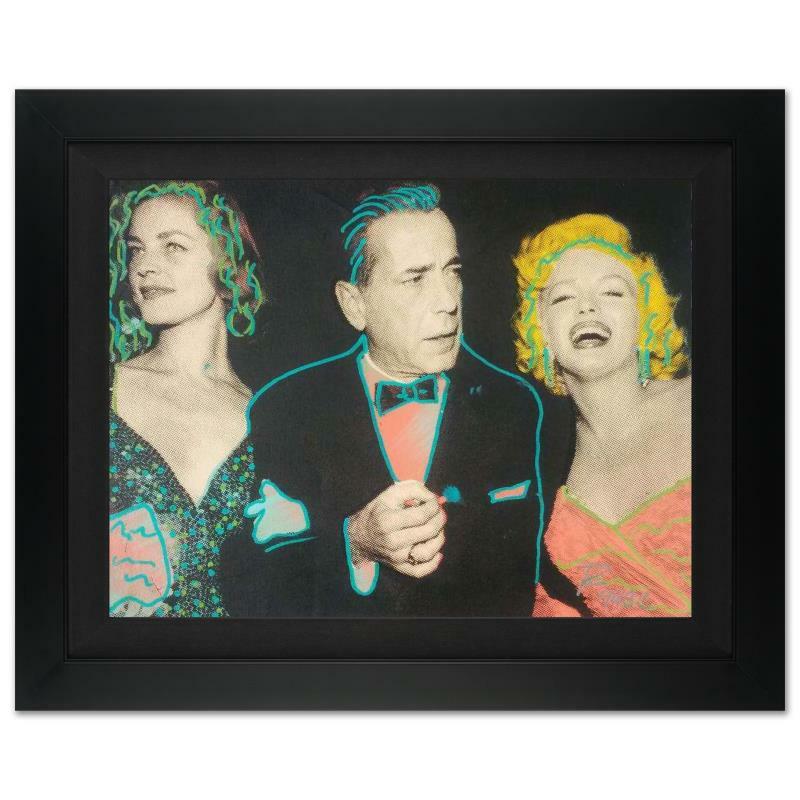 "Marilyn, Bogart, and Bacall" is a one-of-a-kind hand-pulled silkscreen and mixed media painting on canvas by Ringo (Daniel Funes) - the protege of Andy Warhol's apprentice, Steve Kaufman! 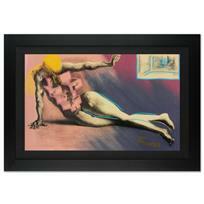 This piece is hand signed by the artist and Includes Certificate of Authenticity! Measures approx. 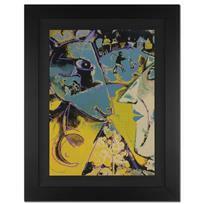 20" x 16" (with frame); 16" x 12" (image). Daniel Funes (known professionally as "Ringo") is an American Artist, Photographer, Musician and protege to the late Steve Kaufman (Former Assistant of Andy Warhol ). At an early age, Ringo was part of charity founded by Steve Kaufman (Give Kids A Break), which was established to help troubled inner city kids by working in his art studio. 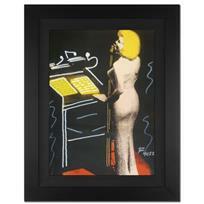 Ringo learned the art of Silkscreening and layering processes, framing and canvas making, and listing and embellishing. Kaufman saw the potential and ambition that his young assistant was showing, and Steve eventually named Ringo his protege. He was very hands on in many of Kaufman's projects, and now many of Ringo's works hang alongside his mentor's in Galleries around the World. In 2004, Kaufman and Ringo joined forces to create a limited edition series - "The Legacy Series" - which celebrated Warhol and introduced Ringo to the Art World. Hand painted, embellished and screened by Steve and Ringo, their first limited edition of 100 sheets sold out within a few months. The next edition created inside the Melrose art studio in 2006 was Ringo's first solo project - "Les Origenales", which was a hit as well. Steve Kaufman and Ringo attended ArtExpo together from 2002 until 2007 when Steve fell ill and was recovering from a stroke. Ringo attended to his mentor's recovery but by the end of 2009, while Ringo was working in Europe, Kaufman fell ill indefinitely. Alongside Bob Womak, Ringo took charge of the Melrose studio to finish many projects Mr. Kaufman had not finished. Following in the steps as his predecessor, all of Ringo's events and exhibits have a form of help to his Community through Ringo's art sales. "Our Community is as important to me, as it is painting. 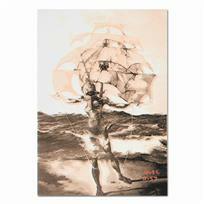 Helping each other is the best thing we can do, One Step At A Time.."
Ringo, "Man Ship (Dali Homage)" One-of-a-Kind Hand-Pulled Silkscreen on Canvas, Hand Signed with Certificate of Authenticity. 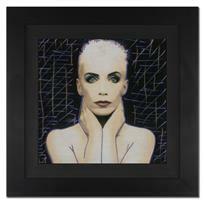 Ringo Daniel Funes - (Protege of Andy Warhol's Apprentice - Steve Kaufman), "Annie Lennox" Framed One-of-a-Kind Mixed Media Painting on Canvas, Hand Signed with COA. 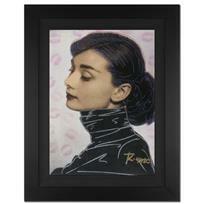 Ringo Daniel Funes - (Protege of Andy Warhol's Apprentice - Steve Kaufman), "Audrey Hepburn" Framed One-of-a-Kind Mixed Media Painting on Canvas, Hand Signed with COA. Ringo Daniel Funes - (Protege of Andy Warhol's Apprentice - Steve Kaufman) - "David Beckham Pop Stamp" Framed One-of-a-Kind Mixed Media Painting on Canvas, Hand Signed with COA! 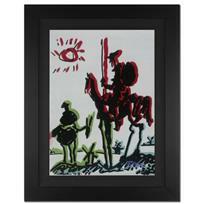 Ringo Daniel Funes - (Protege of Andy Warhol's Apprentice - Steve Kaufman) - "Don Quixote" Framed One-of-a-Kind Mixed Media Painting on Canvas, Hand Signed with COA! 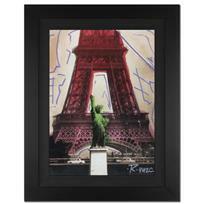 Ringo Daniel Funes - (Protege of Andy Warhol's Apprentice - Steve Kaufman) - "Eiffel Tower" Framed One-of-a-Kind Mixed Media Painting on Canvas, Hand Signed with COA! 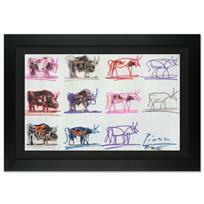 Ringo Daniel Funes - (Protege of Andy Warhol's Apprentice - Steve Kaufman) - "Eleven Bulls" Framed Ringo Original on Canvas from a Limited Series, Numbered CP 3/50 and Hand Signed with COA! Ringo Daniel Funes - (Protege of Andy Warhol's Apprentice - Steve Kaufman) - "Farmer and His Cow" Framed One-of-a-Kind Mixed Media Painting on Canvas, Hand Signed with COA! Ringo Daniel Funes - (Protege of Andy Warhol's Apprentice - Steve Kaufman) - "Happy Birthday Mr. President" Framed One-of-a-Kind Mixed Media Painting on Canvas, Hand Signed with COA!